For all of you out there who are eagerly waiting for Jio’s commercial launch, here is one more reason to rejoice. It looks like the official Jio app store has been made live for public to register as beta testers and download and install Jio apps. You can click here to head to the app store where you will find the suit of Jio apps including a host of media apps for which you can register as a beta tester and then head to the play store and download and install them. Make sure to click on the link from your mobile web browser to be able to view these apps, if you go to the link from your desktop or laptop browser you will only see links to Jio drive app for PC and Mac. Also remember that some apps can only be logged in using a valid Jio id and password which you will get once you get your hands on a Jio sim card, the Jio Join app will exclusively work only with a Jio sim or a Jio Mifi device. Apps like Jio switch are aimed at simplifying the process of switching from old phone to a new LTE smartphone. 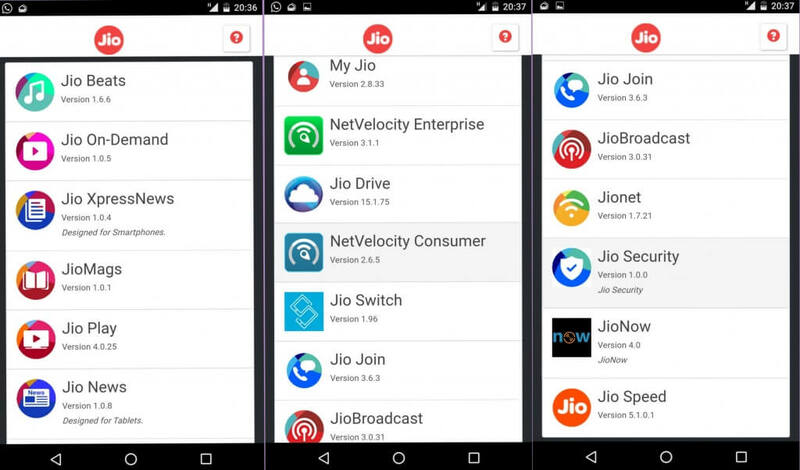 Apps on the mobile platform include ‘Jio play’ to watch live TV, ‘Jio on demand’ to watch movies and TV shows on demand, ‘Jio beats’ to listen to music, Jio News and Express News to get the latest news feed, Jio Mags to read the latest Magazines in English as well as a host of Indian regional languages, ‘My Jio’ app to keep a track of your Bill, talk time, data balance etc, Jionet to connect to various Jio wifi hotspots automatically. ‘Jio join’ to enjoy voice calling feature on non VoLTE mobiles. Jio security to prevent your smartphone against Viruses and malware threats. Jio speed to test the quality and strength of mobile signal coverage and speed of LTE network. Jio broadcast to view Live streams of sports events. So go on and explore the world of Jio and leave your comments with your experience and reviews.